​Despite there being still two months of the 2018/19 season remaining, that hasn't stopped the transfer rumour mill running as normal ahead of what is likely to be another busy summer for clubs around the globe. Since his move to Belgium, the 23-year-old has three goals in nine league games, with media outlet ​Het Laatste Nieuws reporting that Gent want to make the deal permanent at the end of the season, although suggests that doing so is 'not a simple task'. Having already agreed a payment plan with Fluminense for the signing of Joao Pedro, ​Watford have been asked by the Brazilian club to forward one of those payments due to their financial issues. The Hornets signed Pedro earlier in the season, with the two parties agreeing a payment plan for the 17-year-old, who will only join the club in January 2020, although Brazilian outlet ​Extra have reported that the club's president, Pedro Abad, is flying to Europe to meet investors that can provide the club with £40m to settle there debts, with one of those meetings being with Waford to ask for an advance. ​Said Benrahama has had an outstanding season for Championship side ​Brentford, netting nine goals and providing 11 assists, with his form not going unnoticed by sides in the Premier League. According to reports from ​TEAMtalk, as many as four sides in England's top-flight are being linked with the 23-year-old, with ​Arsenal, ​Crystal Palace, ​Tottenham and ​West Ham all interested in the Algerian international who only joined the Bees in the summer. There's also interest for Benrahma outside of England, with Bundesliga giants ​Borussia Dortmund and Serie A side ​Milan also keeping tabs on a player being priced at £30m; considerably more the £1.5m they paid OGC Nice for his services prior to this season. 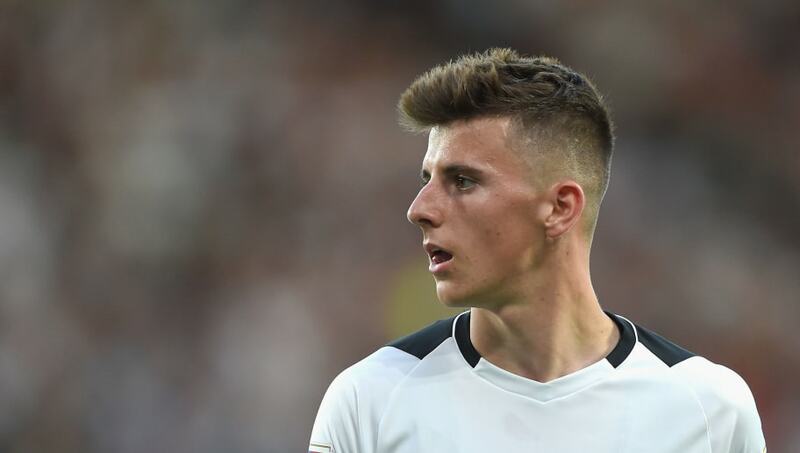 After impressing for Frank Lampard's ​Derby County side on loan in the ​Championship this season, who are just one point outside the play-off places, ​Chelsea midfielder Mason Mount is likely to be one youngster commanding plenty of interest in the summer. One of those potential suitors is set to be ​Bournemouth, as reported by ​The Sun, with the media outlet claiming that Eddie Howe wants to bring the 20-year-old, who has six goals and three assists this season - on loan to the Vitality Stadium for 2018/19 campaign to provide him with regular ​Premier League football. Despite being restored to the first-team picture at ​Manchester United by interim manager Ole Gunnar Solskjaer, Andreas Pereira is still keen to leave Old Trafford this summer. That is according to ​The Sun, as Pereria, who r​ecently extended his current contract with the Red Devils until 2020, wants more first-team action that he believes he will get away from the club, with Leicester City leading the chase for a midfielder that Brendan Rodgers rates very highly.